From time to time we all say things that our partners in conversation interpret differently than we think they will. These seemingly innocuous words are the cause of this terrible feeling that comes when you have put your foot into the mouth. Verbal slip-ups usually happen because people say something without knowledge of the subtle implications of their words. Understanding of such effects needs social awareness – the ability to realize feelings, needs and concerns of others. In fact, it’s a skill, in which many people are lacking. We fail in social awareness and completely lose sight of our conversation partners because we are too focused on ourselves and on what we’re going to say next. We often do not listen to HEAR, we listen and REACT. Most of us are already narrating what we’ll say while our conversation partner is still speaking. The greatness of social awareness is that a few simple corrections in the way you express ideas through words can quickly better your relationships with others. To help you improve your communication skills, here is a list of phrases to avoid in casual conversation. Of course, a tired person is unappealing with messy hair, droopy eyes, and distracted attention. Besides, he or she is grouchy and itemizing these drawbacks isn’t the best idea to find out what is happening with the person. Instead ask: “Is everything ok?” It’ll be much better than assuming someone’s disposition, so he/she can open and share easily. The compliments like this create the feeling that you're too critical. In such case, telling that she lost a lot of weight gives a glimpse that she used to look unattractive and fat. Instead of comparing, just stating a fact: “You look fabulous!” This simple phrase takes the past out of the picture. Keep in mind that no one never or always does anything. People don’t consider themselves as boring and one-dimensional, so you can’t define them as such. Phrases like these force people to hit back, which is a dangerous thing, as generally we use these words when wanting something significant to discuss. Instead using such sharp words, just points out what he or she did that was harmful to you. Once in a while, we all forget things. When you begin a sentence with these words, it seems like you’re offended by having to repeat yourself. Getting insulted suggests that you think you’re better than everyone else or, on the other hand, you’re diffident (or both at the same time!). Think about what you can add to your speech to make the message more clear and interesting. This way your companions will remember what you said. I enjoy my conversational encounters with others and you should as well. Putting forth a bit of purposeful energy and consideration before our initial encounters, can enhance the quality of the conversation greatly. Be bold - be strong - and keep on keeping on! I strongly believe in focus in life, work and love. 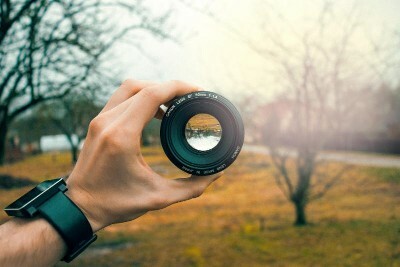 Without focus you cannot possibly reach your goals. When everything is blurry you end up just running around in circles. My point is that watching those people attempt to run without focus is pretty funny but do you know how many people actually run like that every day of their lives? They have SO many things to try and hang on to that all they really do is run around in circles while trying to achieve a goal. It doesn't work. What are YOU doing to refine your focus and get things done? I hear from so many of my former students who know EXACTLY what they need to do to make their business a success but they fail to do it because of focus. One day they are focused on 5 or six things, then the next day on a few more, and so on. Every single day they become farther and farther removed from the first 5 things they were trying to achieve. nothing said was ever done. You can't do it alone - and you can't do it without focus. It just doesn't work that way.